Help us bring opera to new audiences! We are looking for reliable, enthusiastic volunteers with an interest in theatre, music and community projects to help us create our Cosi Fan Tutte re-imagined for high street locations in Merton, South London. No experience necessary – all training will be provided! Volunteers will get a sneak peek into our rehearsals and travel expenses covered on performance days. 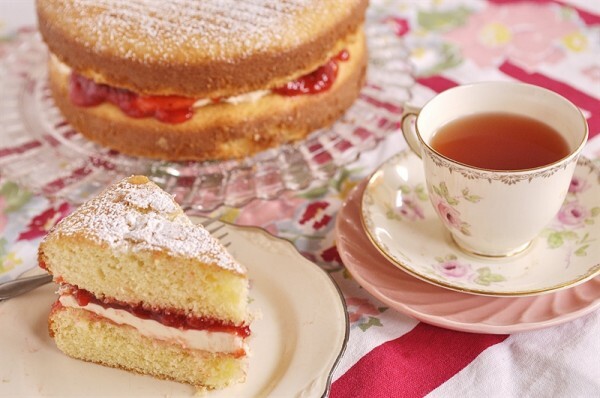 We also provide tea & cake! To find out further details or if you have any questions please contact General Manager, Astrid Hilne. Need more info? check out our Cosi Fan Tutte page. Following on from the success of last year’s successful Creative Networking Event, we are excited to again be collaborating with Attic Theatre Company to host another similar event this May. Last year’s event was at the new Merton Arts Space in Wimbledon Library and this year we’ll be in Mitcham Library. It was a fun friendly evening for local creatives of all disciplines to meet and chat over a glass of wine and meet like-minded local creatives and this year will be no different. As well as the informal networking we’ll also have an opportunity for several creatives with upcoming projects or events to present to the group – including hopefully hearing more about the exciting Merton Borough of Culture Film project! Last Saturday Artistic Director Joanna Turner headed to Wandsworth Radio to talk about our Cosi Fan Tutte Production. To listen to the broadcast just click the play button above. She also talks a little about our next production by David Mamet as part of National Libraries Week, Reunion & Dark Pony. We still have a few remaining Cosi Fan Tutte performances in Mitcham, Wimbledon Village and Wimbledon Town Centre. Check out the Cosi Fan Tutte production page for details. What is your favourite opera or composer? Do you think opera is for you? Here at Baseless Fabric we are pretty passionate about giving everybody a chance to experience theatre and opera. Opera in particular is frequently seen as an art form that isn’t for ‘everyone’ and we truly believe it is and that everyone should have the chance to experience it. Luckily we have several wonderful funders who agree with this idea, including the brilliant Wimbledon Foundation who support charities in our home borough of Merton. Help us take opera to the high street! We are looking for reliable, enthusiastic volunteers with an interest in theatre, music and community projects to help us create our Cosi Fan Tutte re-imagined for free on the high streets of Merton, South London. No experience necessary – all training will be provided! Volunteers will get a sneak peek into our rehearsals and travel expenses covered on performance days. We also provide tea & cake! To find out further details please contact Artistic Director Joanna Turner. Volunteers will get a sneak peek into our rehearsals and travel expenses covered on performance days. We also provide tea & cake! To find out further details please contact us! Probably not one for the opera purists! Ok, first things first – ‘libretto’ is just the opera name for the words that the characters sing. I’d not written one before and now, for our upcoming production of Cosi Fan Tutte, I’ve tried my hand at this for the first time. It was quite hard! But really fun and exhilarating at the same time. And having worked as Assistant Director on Opera North’s production a few years ago, I knew this story inside out and so had very clear ideas about what I wanted to cut to make a shorter version (which bits of music though lovely don’t move the plot forward etc) and how I wanted to re-imagine this story for the modern world around us.